Great online selection to choose from, have a look. All the latest news from the rail industry at this trade show in Berlin. The one & only Welsh Highland Railway, now fully opened and linked to the Ffestiniog Railway. If you have time to visit this line, start at New Alrsford Station, a great day out. It is living again, due to a number of devoted fans. Described as 'The Friendly Line in the Cotswolds", complete with a secondhand railway book shop. What more could you want? Ever thought that the S&D was long dead? Think again!. This site and the one below belong to groups who are both actively trying to re-open the line from Bristol to Bath. New Somerset and Dorset Railway These people are active in helping clear the line, restore buildings etc, become a member (only £5-00) and make a difference!. 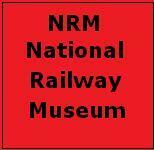 The first standard gauge line to be preserved, and still growing.